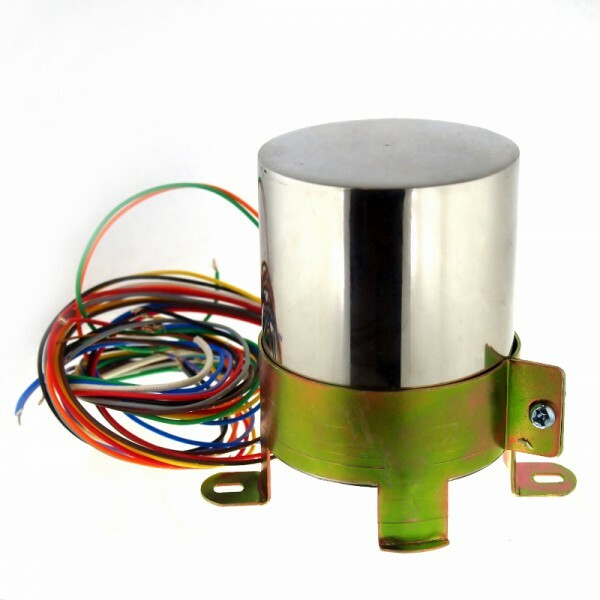 SQ annealed core, 23 steps, high purity copper/Teflon leadout wires, beautiful stainless 5x7cm can with mounting brackets. NEW! premium core offers +40% increase in permeability with even lower hysteresis and coercive force. The new core has almost double the permeability! the new SILK Supermalloy products have the highest inductance, highest Q factor, lowest hysteresis; coercive force. Transfer of signal energy (even minute details) is improved to another new level. And bass to rock the foundations: at 20Hz, the new TVC has around 1,100 to 1,200h! the quality difference between this and typical Permalloy is huge! Z11 core, 28 step auto former in soft iron shielding case (as above for mounting). Suitable for use on the output of active line stages as the blended core does not saturate and can handle line level output signal (100% Permalloy is unsuitable as it will saturate with high signal levels). 28 steps also gives about 60 DB of attenuation. Z11 core, 28 step auto former in soft iron shielding case (easy to install top side of chassis and looks good. Using three mounting bolts, 28 steps! Suitable for use in TVC (AVC). 28 step gives about 60 DB of attenuation. Silk TVC and Seiden switch are perfect match. Get them both and we will give you some discount. 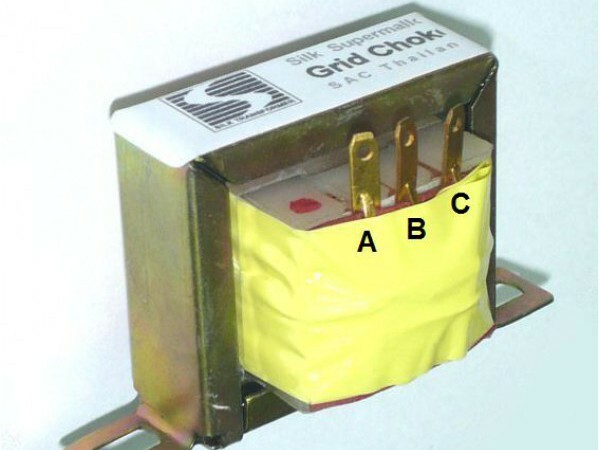 Not all MC-step up transformers are the same! 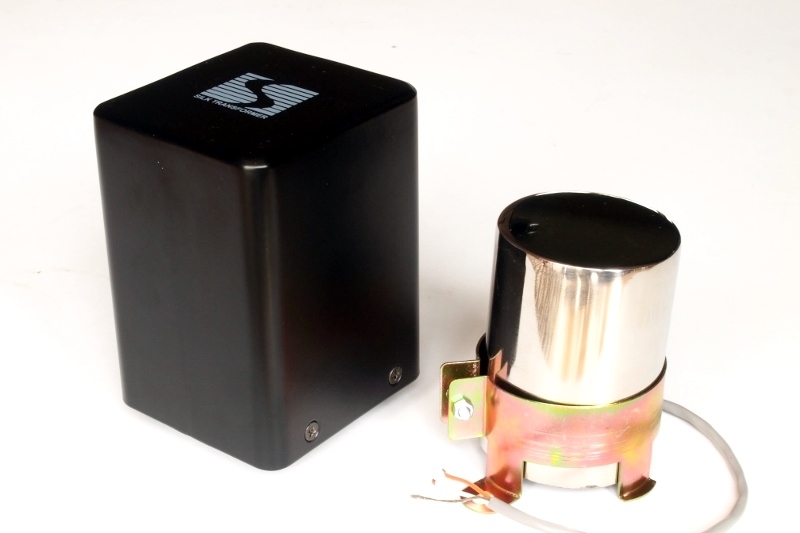 SILK Supermalloy MC-Step up Transformer takes several steps to design and build better transformers. The core material uses the best Supermalloy Nickel/Cobalt alloy core in the world to provide the highest inductance with lowest copper turn to allow extreme Nano Winding Technology that extends the frequency bandwidth with lowest phase shift and highest signal transfer. Nano Winding Technology is Silk’s exclusive technique that starts with super small OFC wires (much smaller than human hair) woven to to extend high frequency by increasing the skin area of conductor (skin effect). The copper wire is also wound perfect lay to help maximize signal coupling. Silk’s design reduces cartridge distortion by providing theoretical loading (true loading) down to 20Hz. 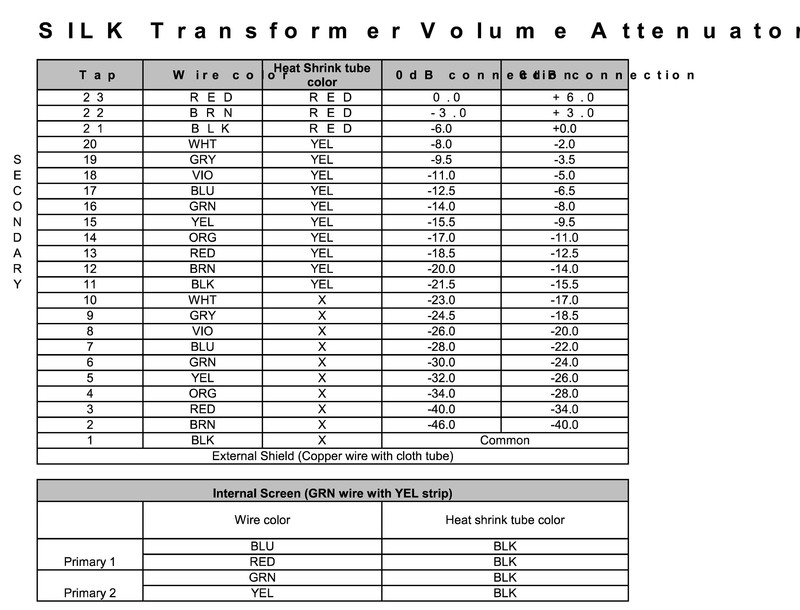 Lab testing has proved that although most signal information on LP are consist of mid-high frequency due to RIAA standard, loading theMC-step-up transformer with true loading down to 20Hz helps lower throughout audio band. The 10x/20x is very versatile.. It can be connected in two ratios. With 1:10X step up, it will have 100 ohm load. With 1:20X step up, it will have 25 ohm load. These two connections can cover 90% of all MC cartridges. 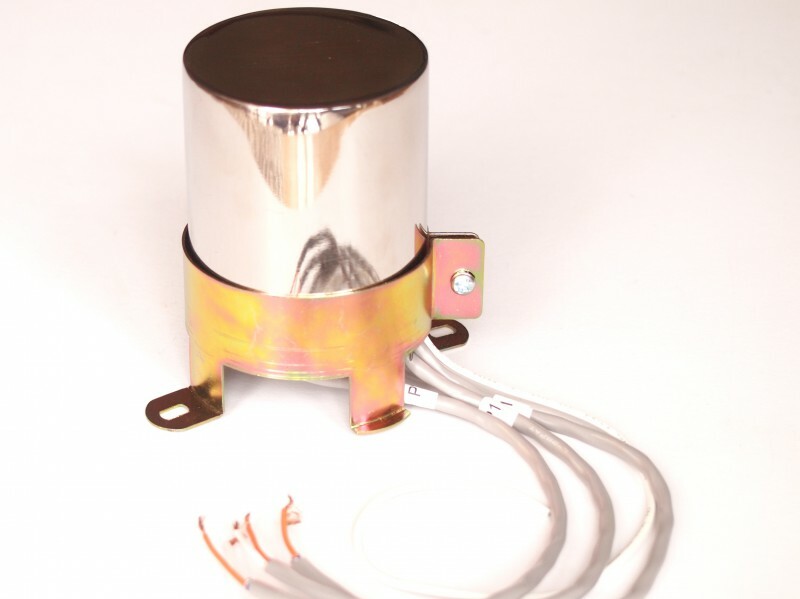 10x and 20x, stainless shielded can, 25/100 ohm input impedance. The best one is as much as 50% better and enables the exotic and proprietary winding scheme used. Developed to compete against top rated step. It can be wired as 1:10 or 1:20 with guaranteed better FR response than even Ortofon T-3000 (+$1,600USD). 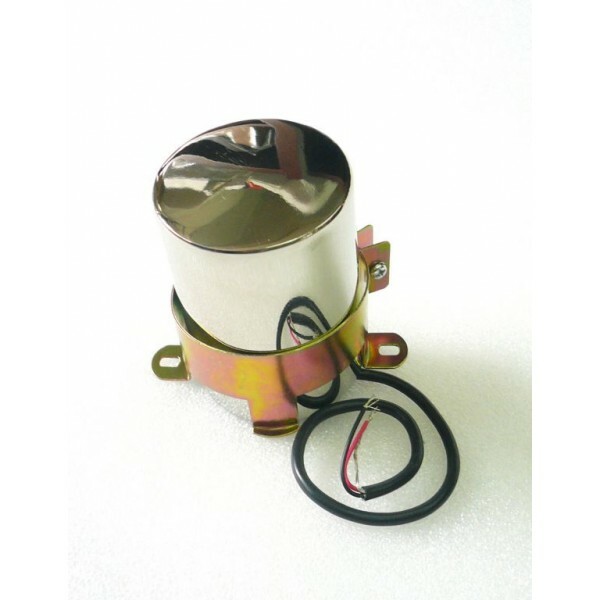 beautiful stainless 5x7cm can with mounting brackets. 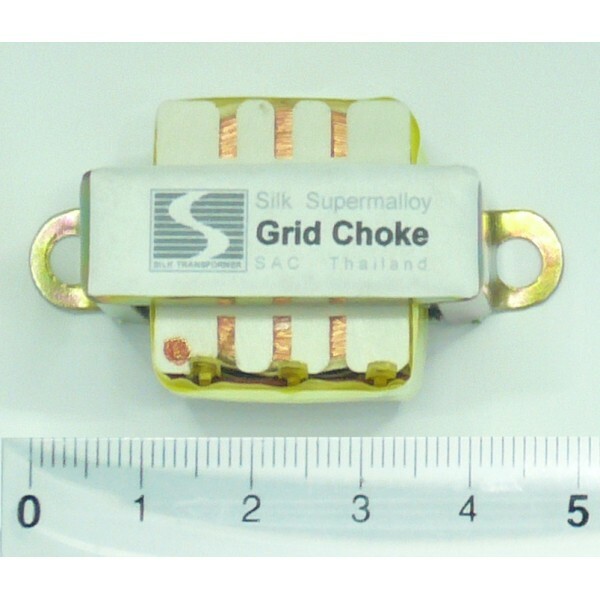 Replacing your grid leak resistor with the SILK Supermalloy Grid Choke is easy to do but gives a big result. This is one of those major tweeks that lets you hear every well-spent penny. This is the “Ultimate Inductor” since its inductance is more than 7,000 Henry at 12Hz while having very low DCR of just 1.3K ohm. AC impedance at 1KHz is more than 5 Mega ohm! AND has a very low parasitic capacitance of only less than 20pF. This is 1/10th s the typical tandard grid resistor. Immediately noticeable is improvement in high frequency response. Wiring: This choke has three taps, the middle one is for making phase splitter in push-pull circuit. 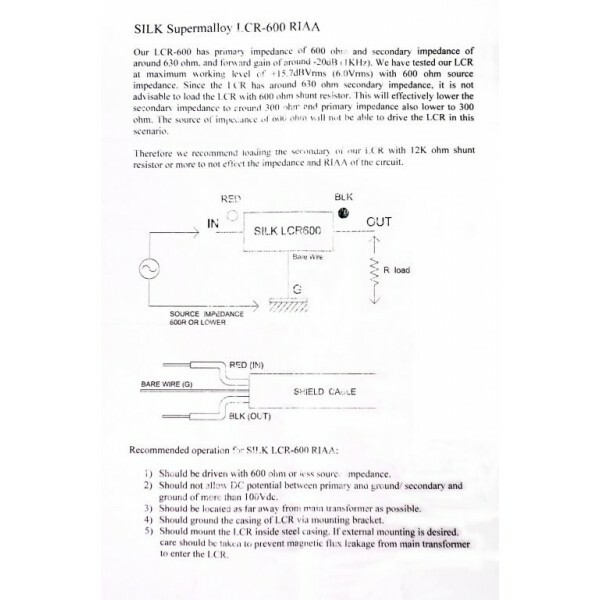 Supermalloy SQ annealed core, MU shielded, most accurate and consistent RIAA we’ve seen. 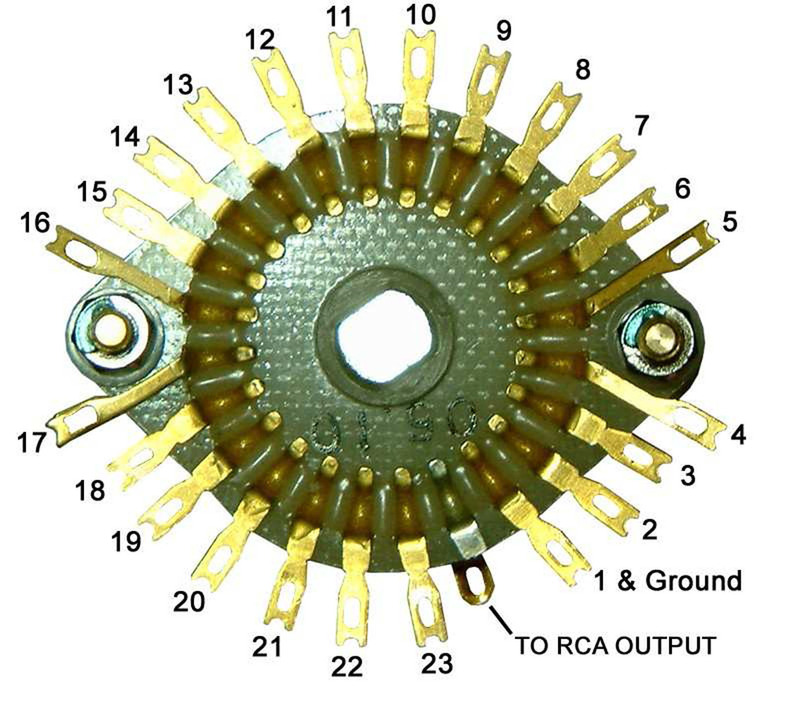 This LCR RIAA is built with the best Supermalloy core inductor to perform within +/- 0.5dB from RIAA standard (from 20Hz-20KHz) or in the average of less than +0.15dB from the standard. 10K also available. Beautiful stainless 5x7cm can with mounting brackets. Supermalloy SQ annealed core, MU shielded, most accurate and consistent RIAA we’ve seen. 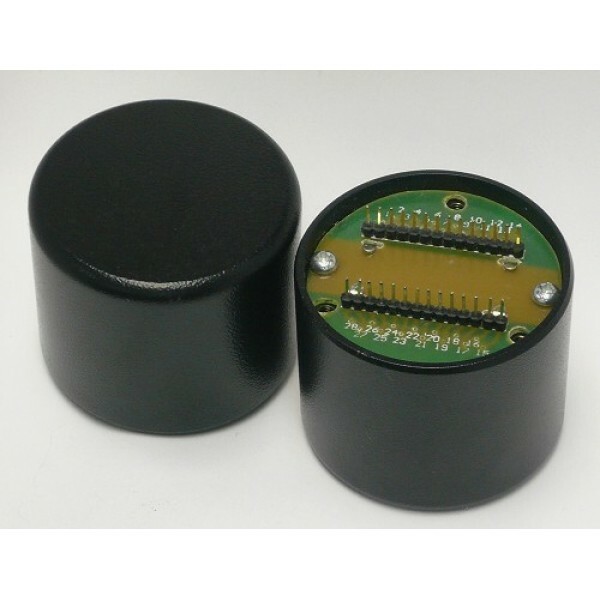 This LCR RIAA is built with the best Supermalloy core inductor to perform within +/- 0.5dB from RIAA standard (from 20Hz-20KHz) or in the average of less than +0.15dB from the standard. Supplied in cases as shown. 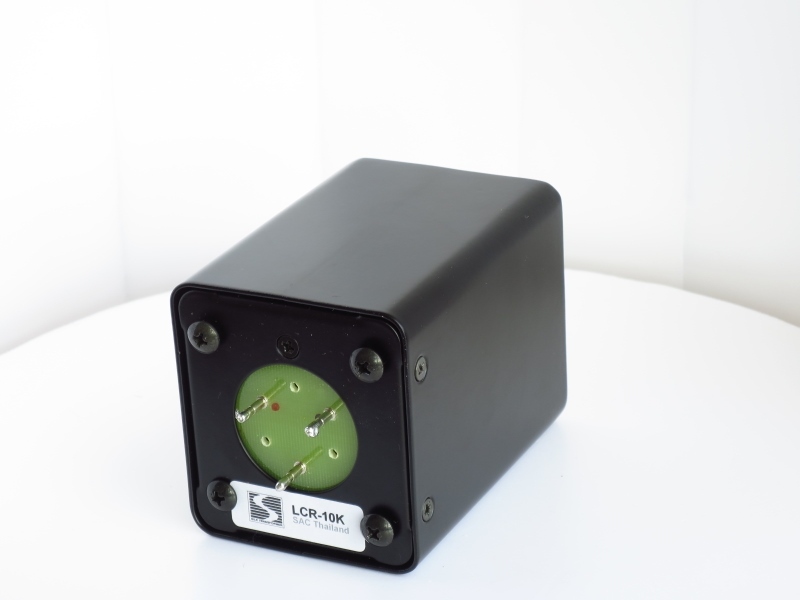 LCR-10K has slightly High Frequency response roll-off when compare to the LCR-600R. This is the nature of the high impedance network.